This entry was posted on February 27, 2015 by B4S. 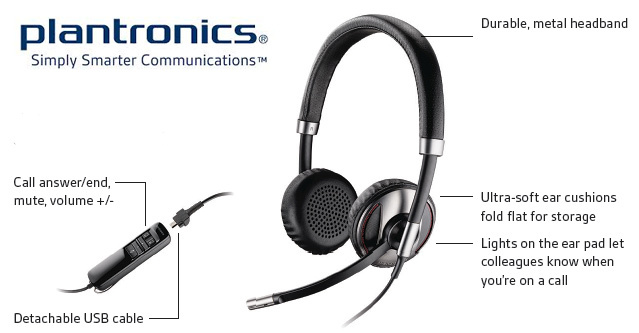 Plantronics have a range of wired ( corded ) headsets called the Blackwire ™ these are USB connection and designed specifically for use with a VoIP system or Unified Communications such as Microsoft Lync - they plug directly into a computer. 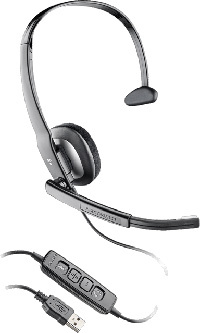 The Blackwire headsets are designed for the sort of business environments where you wear a headset all day such as busy offices or call centres.  They come with a choice of connectivity options - a standard lead or one specifically designed for Microsoft Lync. The Blackwire range all deliver a startlingly crisp wideband audio experience along with the protective Soundguard technology to prevent sudden acoustic spikes and also incorporate noise cancelling technology to prevent background noise. They have been built for wearing and as such are lightweight, comfortable yet sturdy - as you would expect from Plantronics. The headsets come, also, with a choice of of wearing styles as in monaural or binaural. Some working practices demand the necessity of talking to colleagues in which case a monaural ( one eared ) build is preferable whereas in situations such as contact centres or very busy and noisy workplaces most workers prefer a binaural ( two eared ) headset to allow full concentration on the conversation in hand. The Blackwires also, with a view to increasing productivity and staff satisfaction they come with call controls on the leads - making them a real joy to use. 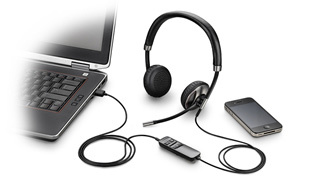 There is a good price range in the Blackwire series with models such as the Monaural USB C310 -M which costs under £25 and the mid range C320 Binaural USB for less than £35 - a great price for a binaural and highly portable ( flat packed ) USB headset which gives comfort and quality. Perhaps the king of the Blackwires is the Blackwire C720 which is a binaural headset sporting incredible enhanced sound quality via its wired connection and the additional facility of a Bluetooth receiver so that mobile phone calls can be directed via the headset also. This makes it the sort of headset you really can wear all day and enjoy it too.